Searching for a high-performance SUV? 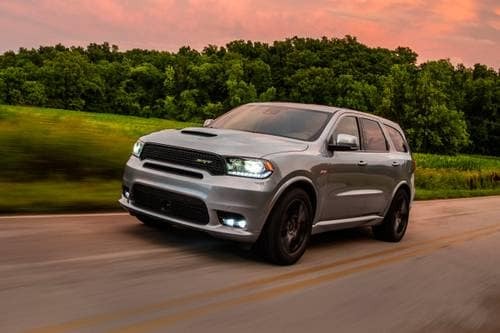 Visit Antioch Dodge for the 2019 Dodge Durango! The new Durango is available with rear-wheel or all-wheel drive. Meaning, it can handle your greatest adventures! It includes a 293-hp or 295-hp 3.6-liter Pentastar V6 as standard or an available 360-hp Hemi 5.7-liter V8 engine. Don’t miss out on this powerful SUV, visit Antioch Dodge today! Serving Antioch, Illinois.